Let's play a little game, shall we? 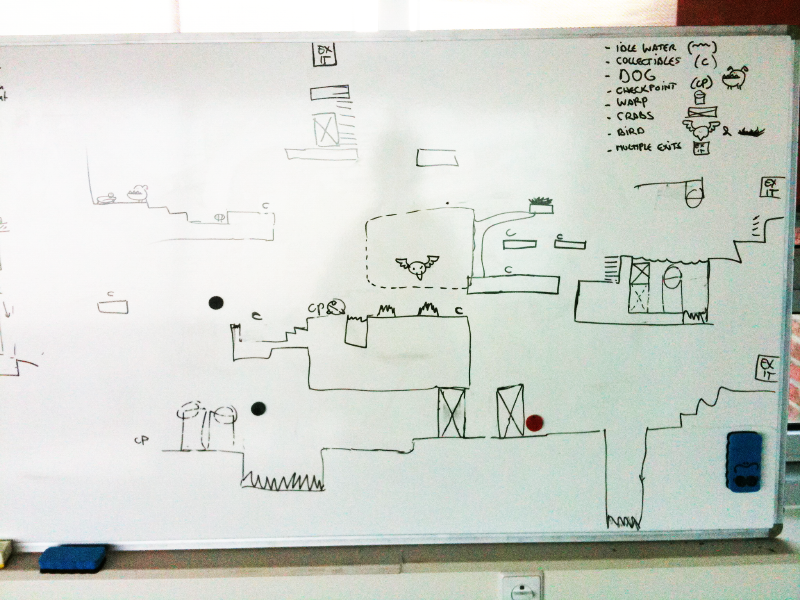 Below is a grab from our prototype level on a whiteboard. You tell us what new Toki Tori 2 info can be gleaned from it, and we’ll give you kudos for getting it right!